AC™ Harrow Crisp HW610 cv. is a medium sized selection that is slightly larger than Bartlett. The variety tends to develop an attractive red blush in cooler climates and the fruit is mildly sweet, smooth, and grit free. 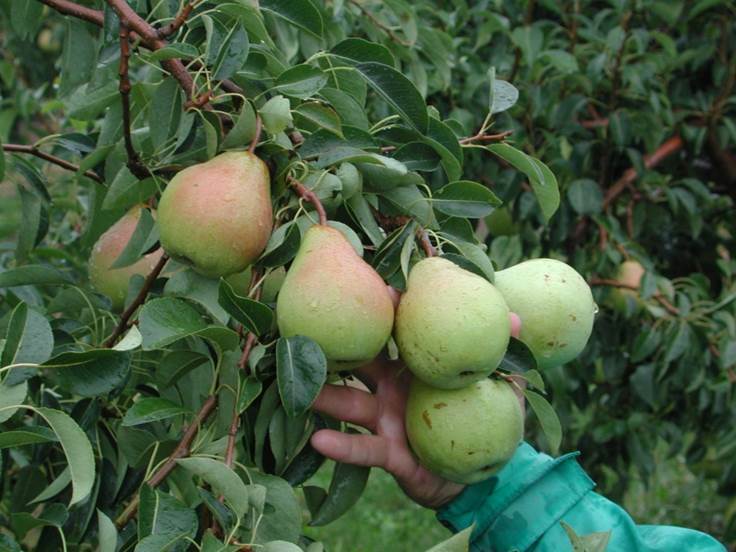 The pears remain firm even when fully ripe which provide for an extended picking window. AC™ Harrow Crisp was bred by Agri-Food Canada. The variety is a recommended pollinator for Cold Snap® and has high tolerance to fire blight.